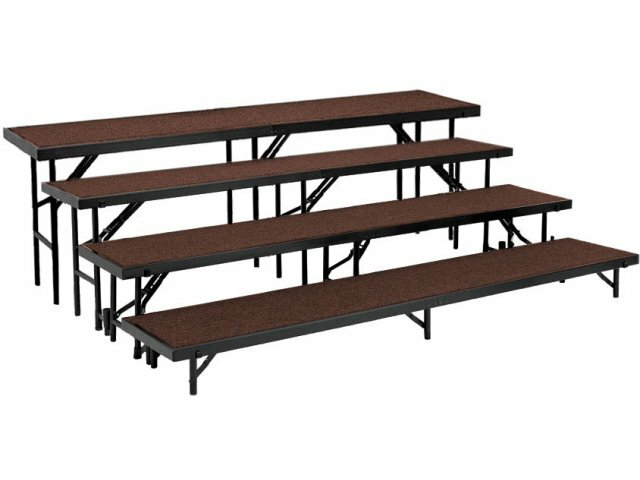 These portable choral risers easily attach to one another to provide safe multi-level heights. Spring-loaded support brackets make opening and folding down a snap. 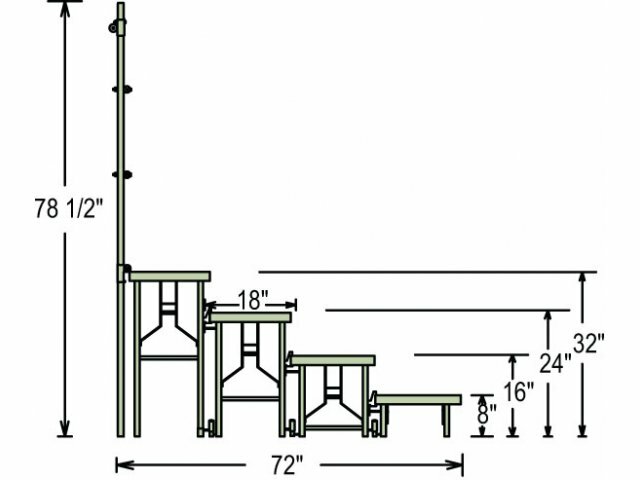 Available in convenient sets or individual components, with hardboard or carpeted surfaces, and straight or tapered models (for semi-circle arrangements). 200 Lbs. Per Square Ft. 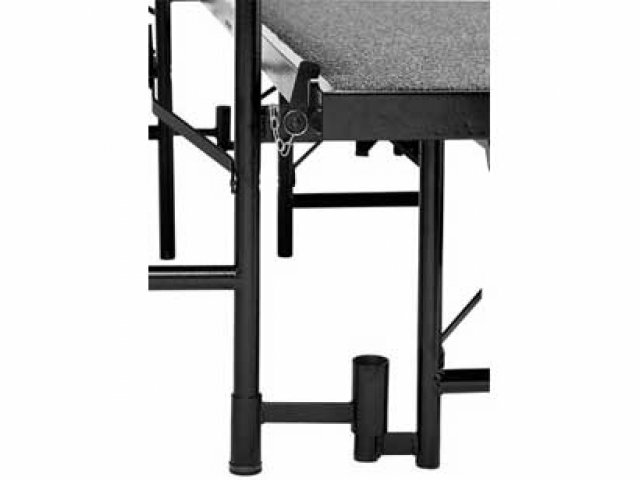 Heavy-duty, 14-Gauge tubular steel legs and 16-gauge steel frames make these risers safe and sturdy. Each level is 18-inches wide. Risers can support 200 lbs. per square foot. 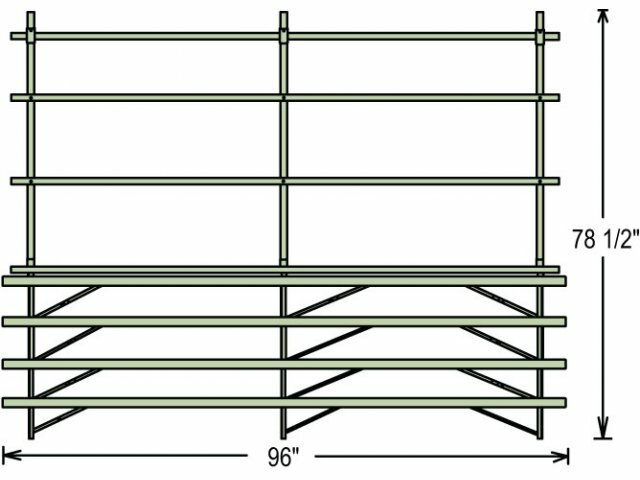 Riser platform is constructed of sturdy .75"-thick solid plywood. Spring-loaded support brackets for ease of setup and takedown. Available for quick ship delivery. Note: These 18-inch, deep risers are not suitable for use with chairs. 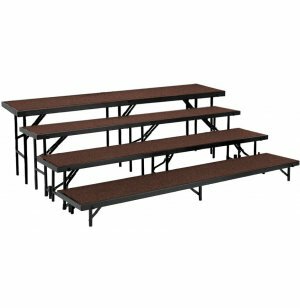 For seated choral risers see all 36-inch deep risers and for band risers see all risers with 48-inch, deep levels.